Dov Waxman is Professor of Political Science, International Affairs, and Israel Studies at Northeastern University and the co-director of its Middle East Center. He received his Ph.D. and M.A. from the School of Advanced International Studies (SAIS) at Johns Hopkins University, and his B.A. from Oxford University. He has previously taught at the City University of New York, Bowdoin College, and the Middle East Technical University in Ankara, Turkey. He has been a visiting fellow at the Moshe Dayan Center for Middle Eastern and African Studies at Tel Aviv University, the Begin-Sadat Center for Strategic Studies at Bar-Ilan University, the Avraham Harman Institute for Contemporary Jewry at the Hebrew University of Jerusalem, and at the Oxford Centre for Hebrew and Jewish Studies and St. John’s College at Oxford University. He is the author of "The Pursuit of Peace and the Crisis of Israeli Identity: Defending / Defining the Nation" (2006), and the co-author of "Israel’s Palestinians: The Conflict Within" (2011). No one can confidently predict the outcome of tomorrow’s Israeli election. It will undoubtedly be a close contest between Likud and the Zionist Camp for the most seats in the Knesset. In any case, which of the two will lead the next government and who will be the next prime minister, Benjamin Netanyahu or Yitzhak Herzog, will not be determined at the polls, but in the inevitable inter-party negotiations and deal-making that follows it. Netanyahu, a seasoned expert in such coalition building, is still the most likely candidate to form the next government and become prime minister. Despite a lack of popular support and a widespread desire for change at the top, Netanyahu is a savvy politician who has often been able to outmaneuver his rivals. More importantly, it will probably be much easier for him to put together a governing coalition than it will be for Herzog. Not only is the right-wing bloc—composed of Likud, Naftali Bennett’s Jewish Home party, and Avigdor Lieberman’s Yisrael Beiteinu party—likely to have more Knesset seats than the center-left bloc of the Zionist Camp and Meretz, but also the ultra-Orthodox parties (United Torah Judaism, Shas, and its new offshoot Yahad) are more inclined to sit in a rightwing government than a center-left one, partly because many of their voters hold rightwing, hawkish views on the Palestinian issue. A narrow coalition of rightwing and religious parties, probably joined by the new center-right Kulanu party led by the former Likud member Moshe Kahlon, is therefore a more likely outcome than a left-of-center government. Many analysts, however, believe that a broad national unity government, including both Likud and the Zionist Camp, is the most likely outcome of the election, even though most Israelis are decidedly unenthusiastic about this. Sadly, this does not bode well for the already dim prospects for peace between Israel and the Palestinians. Those people, both inside and outside Israel, desperately hoping (with more desperation than hope) that the next Israeli government will be more serious and determined about pursuing a peace agreement with the Palestinians, are likely to be disappointed, yet again. Even if the Zionist Camp wins the most seats and Herzog is somehow able to cobble together a coalition, he will have to rely upon the support of parties whose leaders are much less willing to make major concessions to the Palestinians, particularly concerning the future of Jerusalem. But although the cause of Israeli-Palestinian peace is unlikely to be significantly advanced by the results of this election, another cause—no less important to Israel’s future—could well receive a major boost. This is the cause of Jewish-Arab coexistence and cooperation in Israel. Since the late 1990s, and especially since the notorious events of October 2000 when Israeli police killed 12 Arab citizens of Israel during large-scale, and sometimes violent, protests, Arab-Jewish relations in Israel have been dangerously deteriorating. The Palestinian-Arab minority, 20 percent of Israel’s citizens, has become increasingly alienated from the Israeli state and from Israeli Jews. After suffering from decades of discrimination and government neglect, and after having recently endured racist attacks (both verbal and physical), rightwing Zionist agitation against them (led by Lieberman and his Yisrael Beiteinu colleagues), and parliamentary legislation targeting them, many, if not most, of Israel’s Arab citizens now firmly believe that they will always be ‘second-class’ citizens in a Jewish state. This election could challenge that demoralizing and pernicious belief and help convince Arabs that they can in fact be fully equal citizens, and that Israel can really be a Jewish and democratic state. If the Joint List, a union of three Arab parties and the Arab-Jewish Hadash party, succeeds in winning thirteen or fourteen seats (as the polls suggest it might) it could be the third largest party in the next Knesset. While it is unlikely to join the government—there is an informal rule against including Arab parties in Israeli government coalitions—the Joint List could become Israel’s main opposition party, a status that confers many practical and symbolic benefits. For example, its leader, Ayman Odeh, would meet with visiting foreign dignitaries, receive official government briefings, and get to address the Knesset after every speech by the prime minister. The potential electoral success of the Joint List, and the political influence and prestige it would enjoy as a result of this, could turn out to be a game changer in Israeli politics. It could emerge not only as the unified and representative voice of the Arab minority, one that Israeli and foreign leaders and the Israeli-Jewish public would have to pay attention to, but also as a future government coalition partner. Above all, its success would send a powerful and much–needed message to the Arab minority that voting in Israeli elections is not a sham or a waste of time, as many Arab citizens have come to believe it is (which is why Arab voter turnout has declined in previous elections). This would encourage future Arab political participation and strengthen Israeli democracy. Whether the Zionist Camp or Likud lead the next Israeli government, therefore, perhaps the biggest winner of the election will be the Joint List, and its most significant outcome may be in the often ignored, but deeply troubled, relationship between Israel’s Jewish and Arab citizens. The Netanyahu government believes that diplomatic negotiations and economic sanctions have failed to halt or slow down Iran’s nuclear program and that time is rapidly running out to stop Iran from developing a nuclear weapons capability, which it sees as an existential threat to Israel. Prime Minister Netanyahu is therefore losing patience with the Obama Administration’s diplomatic approach, which he never really thought would succeed in the first place. Now he is trying to use the run-up to the US election to pressure President Obama to make an explicit commitment to take future military action against Iran if it crosses a certain “red line” (Netanyahu has not publicly specified what the “red line” should be, but Israel basically wants to prevent Iran from producing large amounts of highly enriched uranium in a location invulnerable to a military strike). In doing so, Netanyahu wants to box Obama in if he is reelected by getting him to make a public promise that he will have to keep. The Obama administration, on the other hand, is refusing to set a “red line” because it wants to keep all its options open and give more time for diplomacy and sanctions to work. It is very reluctant to carry out a military attack against Iran and doesn’t want to be pressured by Israel into promising to do this. The coming US presidential election means that the Obama Administration desperately wants to prevent Israel from striking Iran before November since such an attack would probably lead to a sharp spike in oil prices severely affecting the American economy and produce major turmoil in the Middle East and beyond, risking American lives. These negative consequences of an Israeli strike could easily jeopardize Obama’s prospects to win re-election. The Obama Administration is also well aware of the fact that most Americans currently oppose a US or Israeli military strike against Iran. American public opinion is primarily concerned with the US economy, especially continued high unemployment, and the last thing Americans want right now is to get involved in another war in the Middle East. The Obama Administration’s approach to Iran is basically in line with US public opinion, so it would be politically foolish to change this approach in the run-up to an election. American opposition to a unilateral Israeli strike is probably the biggest factor preventing Israel from attacking Iran, but it is not the only one. Israeli public opinion is also opposed to a unilateral Israeli strike and so is most of Israel’s military and intelligence establishment. Even Netanyahu’s own government ministers, particularly the members of his security cabinet—which is responsible for authorizing any Israeli military action—are divided on the wisdom of Israel attacking Iran against the wishes of the United States. Thus, although it is certainly not out of the question that Israel will eventually choose to go-it-alone and carry out a unilateral strike against Iran’s nuclear facilities given Prime Minister Netanyahu’s expressed fears about Iran’s nuclear program, my assessment is that it is unlikely to happen because Netanyahu simply does not have the necessary domestic and international support for this. Despite all his bombastic rhetoric, Netanyahu is ultimately very constrained in what he can do vis-à-vis Iran. Indeed, that may well be why he has become so frustrated about the Obama Administration’s ‘wait-and-see’ policy on Iran and its refusal to support an Israeli military strike or pledge to take military action itself. In sum, therefore, Netanyahu is trying to push Obama to commit to taking military action against Iran in the future, and Obama is pushing back against this. So far, Obama appears to be winning this latest tug-of-war. 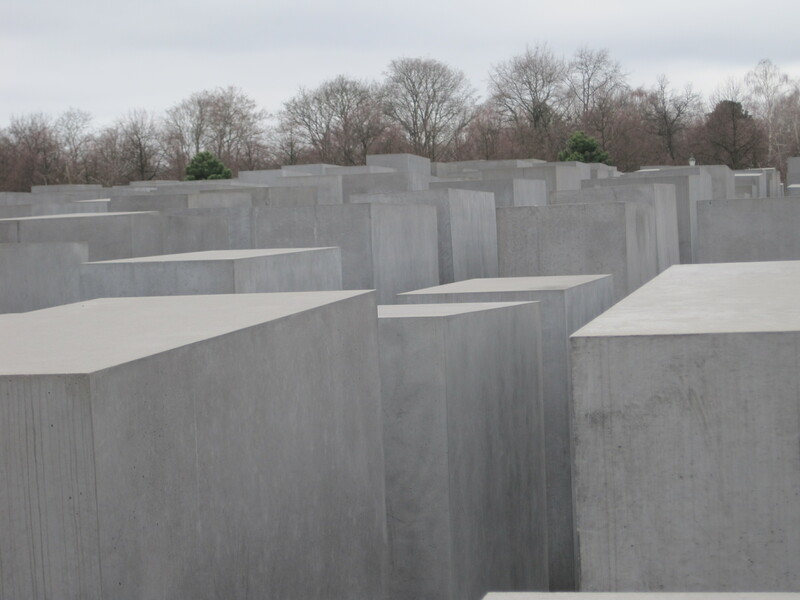 Is Europe seeing a new wave of Jew-hatred? Apocalypse Soon? Will 2012 be the year in which Israel goes to war with Iran? Coming from Bergman, a highly respected analyst, this conclusion should be taken very seriously. Of course, previous predictions about an Israeli strike against Iran, also based upon first-hand access to Israeli decision-makers, proved to be wrong, or at least premature. 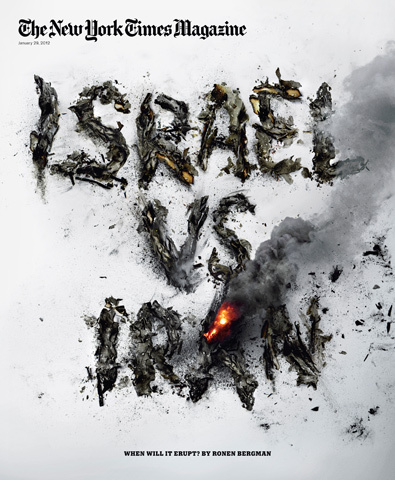 Jeffrey Goldberg, in a much discussed piece in the September 2010 issue of the Atlantic Monthly, predicted that Israel was going to strike Iran by the summer of 2011. He now claims that this didn’t occur because the Stuxnet virus, which destroyed many Iranian centrifuges, set back Iran’s nuclear program and thus extended the time-frame for a possible Israeli attack. Is all of this speculation about an imminent Israeli war with Iran just sensationalist punditry, designed to attract readers, or is it well-founded and credible? Israeli leaders are undoubtedly deeply concerned about the threat from Iran. This perceived threat has come to eclipse all other problems for Israel including the Palestinian problem. There is almost no public debate in Israel over the threat from Iran. Only a small number of leftwing Israelis criticize what they regard as the over-emphasis on the Iranian threat (what one author has described as Israel’s “Iranophobia”) and argue that Israel should focus on peace-making with the Palestinians. But the vast majority of the Israeli public is far more worried about the threat from Iran than about the ongoing conflict with the Palestinians (repeated references to the Holocaust by Israeli politicians—claiming Iran is like Nazi Germany and Ahmadinejad is like Hitler—have no doubt fuelled Israeli anxieties). The slow death of the Israeli-Palestinian peace process is, at most, of secondary concern for them. Although the consensus in Israel is that the advent of a nuclear Iran would pose an unprecedented threat to Israel, there is less agreement among Israelis on exactly how serious a threat to Israel a nuclear Iran would be. Is a nuclear-armed Iran an existential threat to Israel? While Prime Minister Netanyahu has occasionally said or implied this, other Israeli leaders have disputed it. For instance, Ehud Barak, Israel’s minister of defense, has said: “I am not among those who believe Iran is an existential issue for Israel. Israel is strong, I don’t see anyone who could pose an existential threat.” Similarly, the current opposition leader and former foreign minister Tzipi Livni and former Mossad chief Efraim Halevy have also suggested that a nuclear Iran is not an existential threat to Israel and insisted that Israel could protect itself under any circumstances. But how sure can Israel really be that deterrence will work? Just a small risk that it won’t may be too much for Israel to bear. Even if Iran were deterred from launching a nuclear attack against Israel, a nuclear confrontation between Israel and Iran might arise from misperceptions and miscalculations during a conventional crisis. This risk is exacerbated by the fact that there is no direct and almost no indirect communication and no dialogue between Israel and Iran. Such a lack of communication was not the situation in the Cold War between the Soviet Union and the US. Israel must also consider the possibility (however low) of an accidental or unauthorized nuclear launch by Iran. There is also the risk of terrorist organizations acquiring nuclear weapons or material from Iran. It would be the end of Israel’s nuclear monopoly in the region. It would change the regional balance of power as Iran’s power would increase. Iran’s status as the leader of the radical forces in the Middle East would be strengthened. US power in the region would be weakened. Possession of nuclear weapons could lead Iran to adopt an even more aggressive foreign policy vis-à-vis its neighbors in the Gulf, and against Israel (for example, by encouraging Hezbollah to attack Israel). Hamas and Hezbollah would be emboldened. It would trigger nuclear proliferation and maybe even a nuclear-arms race in the Middle East. Turkey, Egypt, and Saudi Arabia could seek their own nuclear weapons. If so, the risks of nuclear war, accidents, theft of nuclear material, and technology sharing grow exponentially. There is also concern in Israel about the social and psychological impact that a MAD-like balance of terror with Iran might have on immigration to Israel and emigration from Israel. Some Israeli public figures (such as former Deputy Minister of Defense Ephraim Sneh) have argued that the mere existence of the Iranian bomb might lead Israelis to leave Israel for a safer place where their existence is not threatened. Israel’s raison d’être as a ‘safe haven’ for Jews will also be undermined diminishing the willingness of Jews in the Diaspora to move to Israel. Personally, I think that this concern is exaggerated. Very few Israelis will leave Israel because Iran has a nuclear weapon and those who do would probably have left anyway. Nor will it have a big influence on the willingness of Diaspora Jews to move to Israel. Israel is hardly a safe haven today and the vast majority of Diaspora Jews who immigrate to Israel do so for religious-Zionist reasons. In sum, for Israel, the Iranian nuclear threat is not just that Iran may one day drop the bomb on Israel. The nuclearization of Iran has many other negative, and much more likely, consequences for Israel. Faced with this real and growing danger, what will Israel do? For now, Israel is encouraging the international community to enact ‘crippling sanctions’ against Iran. While this approach is certainly bearing fruit (most notably, the EU’s newly imposed ban on Iranian oil), Israeli leaders are highly skeptical that sanctions will persuade the Iranian regime to completely abandon their nuclear ambitions. If sanctions fail and the U.S. doesn’t carry out a military strike itself—both of which seem likely—will Israel attack? If Israel does decide to attack Iran, it will almost certainly have to do so this year. The window of opportunity for a successful Israeli strike will not stay open forever. Iran is steadily improving its air defenses, dispersing its nuclear research and production facilities, and making them impregnable (by burying them deep underground and protected by reinforced concrete). Within a year, its nuclear program may effectively become immune from a military attack. Thus, Israel is soon likely to face a stark choice between either taking preventive military action by itself against Iran or trying to deter a nuclear-Iran. Even if it does attack, Israel could not completely eliminate the nuclear threat posed by Iran. At best, it would delay Iran’s nuclear program by a few years (and much less if Iran also has secret nuclear facilities). Would this really be worthwhile given the harsh retaliation against Israel that Iran can be expected to unleash if it were attacked (this could include Iranian missile attacks on Israel, encouraging Hezbollah to strike Israel, and also supporting terrorism aimed at Israeli and Jewish targets around the world)? The fact that an Israeli military strike cannot ultimately stop Iran from going nuclear, and could well result in a devastating war between Israel and Iran, and probably create a lot of regional and even global instability, leads me to believe that the possible costs of an Israeli attack outweigh the possible benefit—the amount of time a successful strike would buy. Will Netanyahu and Barak make a similar cost/benefit calculation? One final factor that will surely affect their calculation will be the US attitude toward an Israeli attack. If Israel attacked Iran without first informing the US the impact on the US-Israeli relationship would be very damaging, especially if the US then got dragged into a war with Iran. Israel needs a ‘green light,’ or at least an amber one (that is, tacit acceptance) from the US before attacking Iran. I doubt the Obama Administration will provide this (allegedly, the Bush Administration didn’t when asked to by Israeli Prime Minister Ehud Olmert in 2008). Israel could still decide to attack Iran without getting American permission, perhaps only informing the US just before they carry out the attack. This way, they could prepare the US for the fall-out of the attack, while maintaining their freedom of action. If Israel does end up choosing this option, the best time for it to do so would probably be just before the US presidential election in November. With Obama coming up for re-election and with his domestic support still weak (unless the US economy miraculously quickly recovers), Israel could hope that President Obama would not be in a position to condemn and punish it for attacking Iran and would have to support it. My own conclusion, therefore, is that Israel probably won’t attack Iran, and will hope instead that the United States will eventually do so. If I am wrong, however, we’ll know this year, most likely before the November election. Will there be an ‘October Surprise’? The story of Gilad Shalit, the young Israeli soldier freed after being held by Hamas for more than five years, is a profoundly moving one. His nighttime abduction in a cross-border raid, his years in captivity, his family’s tireless campaign on his behalf, and his euphoric homecoming all pull at our heart strings. During his long imprisonment, Gilad’s innocent, boyish face—he is just Gilad to all of us now—became an iconic image in Israel and around the world. It adorned thousands of posters and signs around Israel and appeared on countless websites. His dark eyes seemed to look at us in a silent plea for help. Who could not be moved by his terrible ordeal and that of his family? We could not begin to imagine their suffering; we could only hope that it would end happily. Now that it has, we can all take comfort in Gilad’s freedom, and be thankful that he is alive and hopeful that he and his family can recover from the trauma they have lived through these past five years. The relief which so many of us feel at the happy ending of this saga, however, must be tempered by an acknowledgement that the deal Israel made with Hamas to secure Gilad’s release is, at best, morally problematic, if not actually unethical. Ethics is, of course, not likely to have been uppermost in the minds of Israeli Prime Minister Benjamin Netanyahu and his cabinet members when they overwhelmingly voted to approve the deal with Hamas, which had finally been struck after years of on-and-off indirect negotiations through third parties. For them, the emotional plight of Gilad Shalit and his family, the Israeli public’s ardent desire for his safe return home, and the state of Israel’s longstanding commitment to do whatever it takes to recover its soldiers—dead or alive—from behind enemy lines were no doubt the motivating factors behind their decision to free more than a thousand Palestinian prisoners, including hundreds serving life sentences for murder and other acts of terrorism, in exchange for Gilad’s freedom. In addition to the emotional and political motivations, there were also perhaps strategic considerations at work for the Israeli government: namely a desire to shift international attention from the recent Palestinian bid for statehood and weaken Palestinian Authority President Mahmoud Abbas, who had been enjoying a surge of popularity among Palestinians as a result of his defiance of U.S. and Israeli wishes by submitting an application to the United Nations’ Security Council for Palestinian membership in the UN. In striking a deal with Hamas and bringing Gilad home, Netanyahu has not only demonstrated strong leadership—a quality many of his domestic critics have long accused him of lacking—and boosted his domestic support, he has also dealt a political blow to Abbas and allowed Egypt’s military rulers to claim credit for their role in brokering the deal, thereby possibly improving the very fragile relationship between Israel and post-Mubarak Egypt. But while Netanyahu may have scored a political coup, Israel’s decision to release convicted terrorists from prison raises some very thorny ethical issues. To be sure, the ethical implications of the deal between Israel and Hamas are by no means clear-cut. The underlying question of what price to pay to secure an individual’s freedom and possibly save his life does not have a simple answer. While morality requires us to try to save a human life and free a captive, there is surely a limit to what we can do to secure these noble goals. Can we put other lives at risk? Can we empower terrorist groups? Can we forsake justice? These are the difficult ethical questions we must consider. We cannot simply ignore the potentially negative consequences of this deal. Undoubtedly, the hardest and most troubling aspect of the deal for Israel is the fact that it rewards Hamas so handsomely for abducting and imprisoning Gilad Shalit that it creates a strong incentive for future abductions (just as paying huge ransoms to kidnappers does). In other words, it encourages Hamas and other groups to try to seize more Israeli soldiers in the hope that they can secure the release of more Palestinian prisoners and enhance their domestic support in the process. Hence, the chances of another Israeli soldier and his or her family enduring the experience of Gilad Shalit and his family are now greater than they were before the deal was made. In fact, Gilad’s abduction was itself a result, at least in part, of previous deals that Israel has made with terrorist groups to secure the release of its soldiers and citizens, even when they were just corpses. The first of these deals was made back in 1985 when Israel freed 1,150 prisoners (Ahmad Yassin, the future leader of Hamas was one of them) in exchange for three Israeli soldiers held by the Popular Front for the Liberation of Palestine-General Command. More recently, Israel struck a similarly lop-sided deal in 2004 with Hezbollah, releasing 436 Palestinian and other Arab prisoners in return for the release of Elhanan Tannenbaum, an Israeli businessman, and the bodies of three Israeli soldiers. Were it not for these deals and others like them, perhaps Gilad Shalit would never have been abducted in the first place. Freeing convicted, and generally unrepentant, terrorists also puts Israeli lives at risk (and is deeply offensive and painful to the families of their victims). Palestinian prisoners that Israel has released in the past have gone on to commit acts of terror against Israelis. There is little reason not to expect that at least some among the 1,027 prisoners released by Israel will not try to inspire, plan, or carry out new acts of violence against Israeli civilians. However confident Israel’s military and intelligence services are in their ability to track and monitor the most dangerous terrorists being released, the risk they pose to Israelis is undeniably greater when they are free than it is when they are in prison. If one of the released Palestinian prisoners does take part in an act of terror in the future, tragically their victims will be part of the price that Israel has paid to secure Gilad Shalit’s freedom. Thus, while saving the life of Gilad Shalit, the deal between Israel and Hamas could potentially put many other Israeli lives at risk. From a “consequentialist” ethical perspective, this must surely be considered wrong. On the other hand, from a non-consequentialist, “deontological” perspective, the deal is ethically sound on the grounds that we simply have a moral duty to free a captive and save a human life if we can do so. There is, therefore, no definitive moral answer here. For Israelis, Gilad’s freedom comes at a real price. Although they rejoice at seeing a young man coming home and a son reunited with his family, they know from bitter experience that there may be other Israeli sons and families who will one day face the same ordeal. The next Gilad may among those celebrating Gilad Shalit’s return. (This post originally appeared as a Carnegie Ethics Online column on the website of the Carnegie Council for Ethics and International Affairs).